Friday Love became Sunday love this week, due to a crazy stressful week and having to put my own sanity above blogging. As a bonus for the late post, you get a couple of extras this week! Red Velvet is an adorable boutique and cupcake shop run by a pair of sisters, Elsie and Emma. I am in love with both of their blogs (and they might sort of secretly be my heroes), and now I found yet another thing to love - Elsie's spring/summer dress collection, all designed and handmade by her and her small staff. 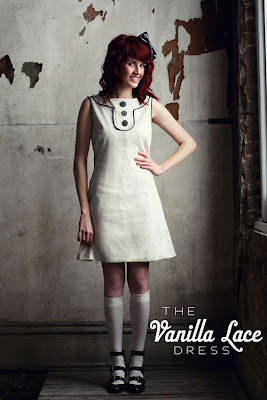 I'm particularly in love with the Vanilla Lace Dress, but the Wedding Cake Dress, Kite Day Dress, and Pen Pal Dress are also some of my favorites. LOVE. I only recently started enjoying red wine, and I still don't really know which kinds I prefer (side note: I really need to take a wine tasting trip to Napa/Sonoma - I've never been). But I've had a couple bottles of Shiraz lately and I like it pretty consistently so far. This is more hopeful thinking. My bedroom has all the charm of a dormroom (with a nicer bed), and my cubicle at work is just plain boring. I'm really hoping to find some awesome decorations I can make myself and brighten both of them up. Especially the cube, since I definitely spend more waking hours there. 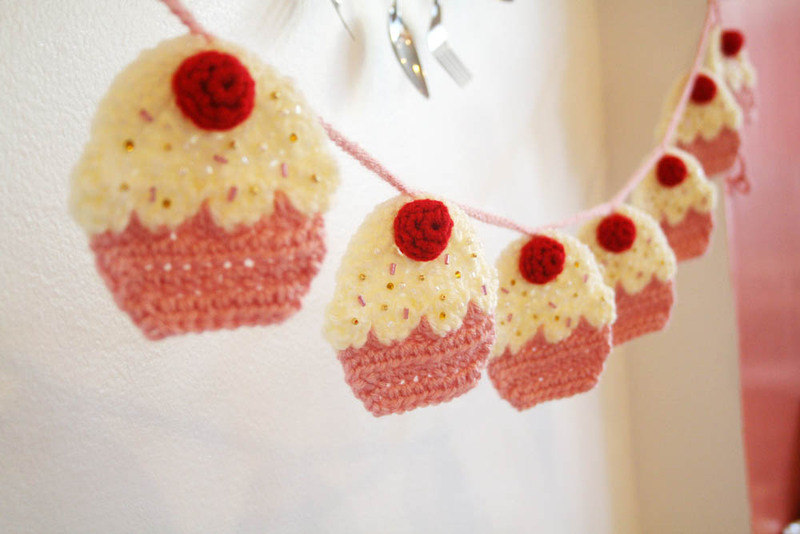 I'm thinking perhaps a crocheted cupcake banner to hang up next to my desk? Any other ideas? Seriously, tell me - I will be so grateful! Another brand new discovery. I found the blog via a link to a DIY bubble chandelier, but I can't get over the rest of the tips, projects, and organizational advice. I'm especially drawn to her posts that tell you how to make the most of your space, and make a rented apartment feel like home. Now I just have to crack down and start using those tips! I think she has been making these off and on for a few years, but I only recently discovered them. The ones below are brand new, but if you Google it, you can see tons of others! 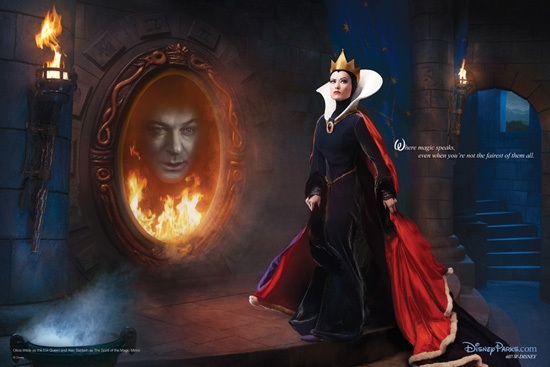 I love the combination of famous celebrities and familiar Disney scenes, along with the stunning photography and effects. I did a ton of this from October until Christmas, hurriedly making gifts, and then stopped pretty much entirely. I'm starting a few projects again and am pretty excited. I will be sure to post when I make some real progress! I love these so much. 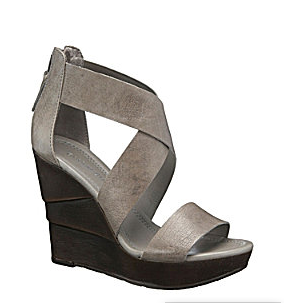 They're a bit more than I'd like to spend, and I have no idea how comfy they are, but they are so gorgeous! The Red Velvet Boutique is such a good find. A lot of the dresses on the site were just lovely. It's a bit of tease for me, like ModCloth, due to the pricing. Aw well, girls can dream right?